A modest 10-table restaurant tucked away beside an Ace Hardware store, Tangerine Café is well worth seeking out. Where else can you go and find Thai, Indian, Korean, Indonesian and Vietnamese offerings on the same menu? 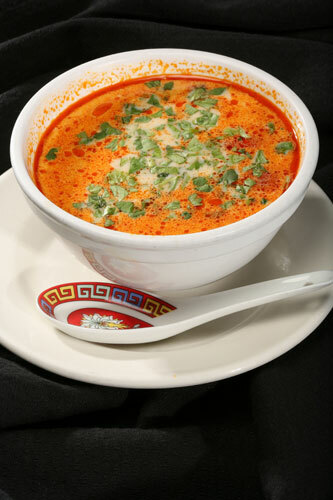 Be sure to try the signature Thai coconut soup, which is among three complimentary offerings available with a lunchtime meal (which, by the way, is enhanced by a solid mix of modern rock music playing overhead). This zesty starter contains chicken, baby corn, mushrooms and tomato in a coconut broth flavored with lemongrass and galangal. Best-selling entrée Korean-style beef features tender, seared meat marinated in barbecue sauce. Honey walnut shrimp is another winning option, featuring stir-fried crustaceans in a tangy sauce topped with walnuts and accompanied by assorted grilled vegetables. Whether presented chili-hot or relatively mild, you’ll find harmony and contrast behind each dish at Tangerine Cafe. Spice levels range from zero to five stars. 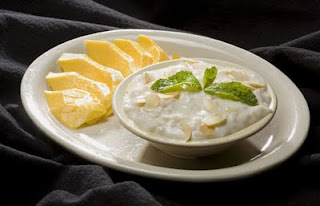 Whatever you do, save room the sinfully sweet coconut rice pudding, which is served with fresh slices of mango or pineapple. Note: the Café is closed on Mondays.